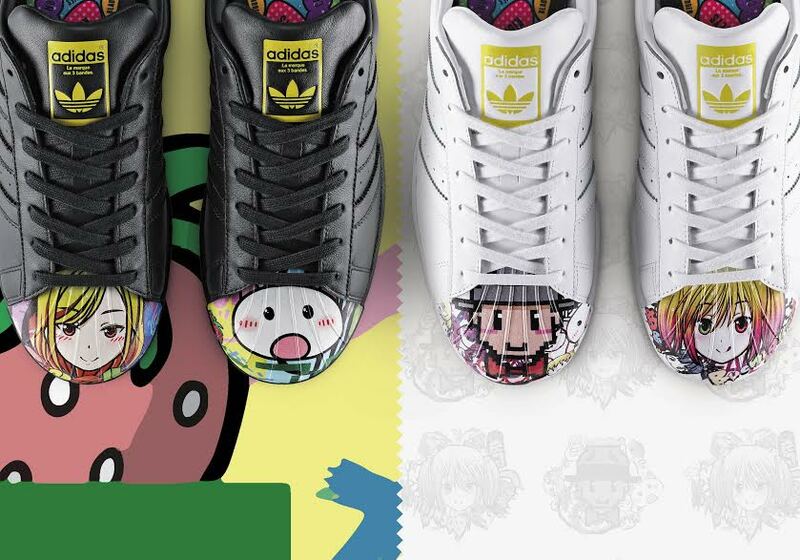 After the success of Adidas Supercolor, a concept that captured the attention of the world, Pharrell Williams returns with Supershell. Once again transforming the iconic Superstar model, Pharrell has collaborated with friends and creatives from around the world to bring a new chapter of the Superstar to life. 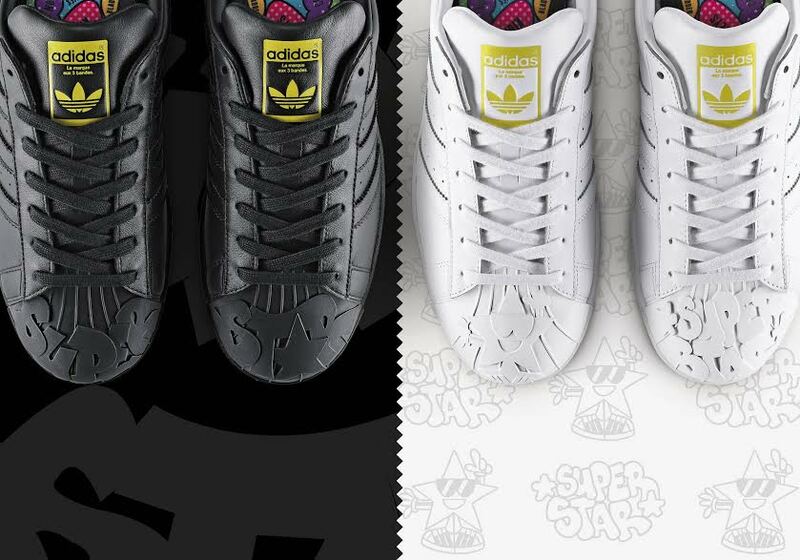 In this Artwork Collection, Supershell brings art and creativity to the Superstar like never before. 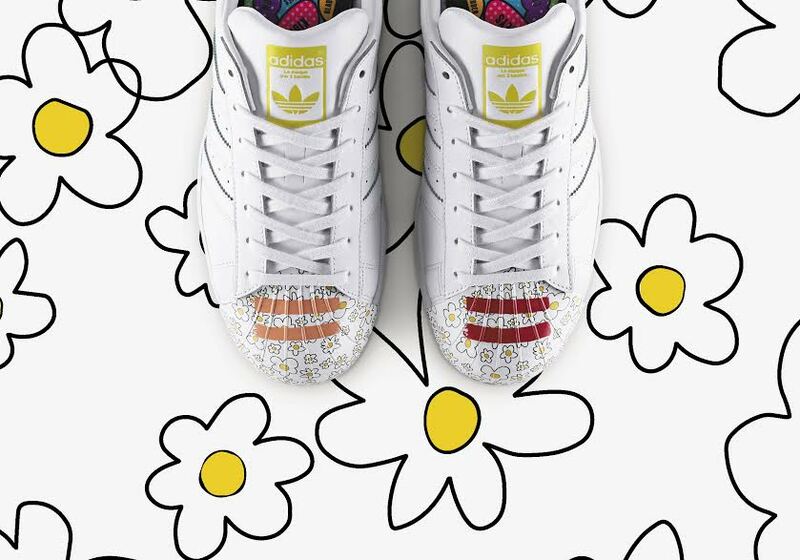 The Superstar’s Shell toe comes alive with signature graphic artworks and designs from NYC contemporary artist Todd James, American photographer-director Cass Bird and contemporary Japanese artist. The artists’ designs are then joined by six of Pharrell’s very own artworks that explore life force and energy and its relationship with colour. 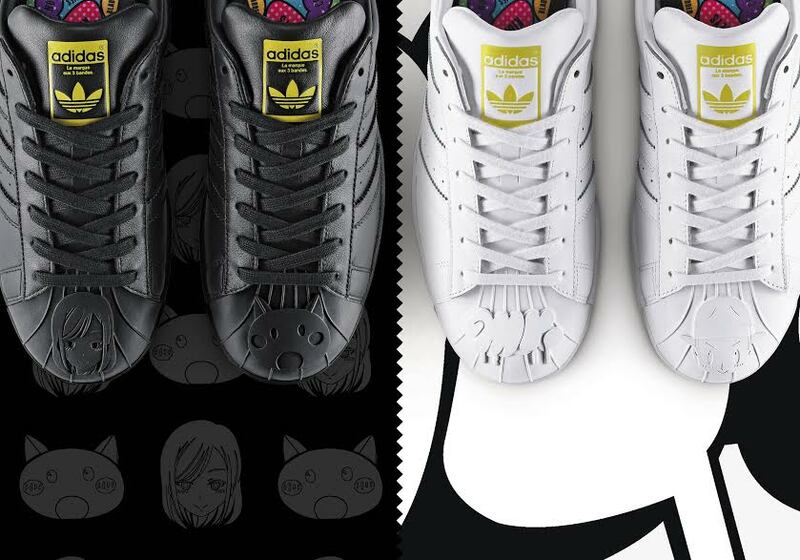 With a limited release and exclusive artworks for different regions around the globe, the footwear is offered in black and white colourways, allowing the vibrant artworks to take center stage. Adding an additional layer to the concept: each left and right shoe features a different graphic treatment allowing the collection to be mixed and matched endlessly, forming yet another opportunity for creative expression by the wearer themselves. Sculpted Collection sees the artists channel their artworks into specially-molded 3D Shelltoe designs, a first for the Superstar silhouette. 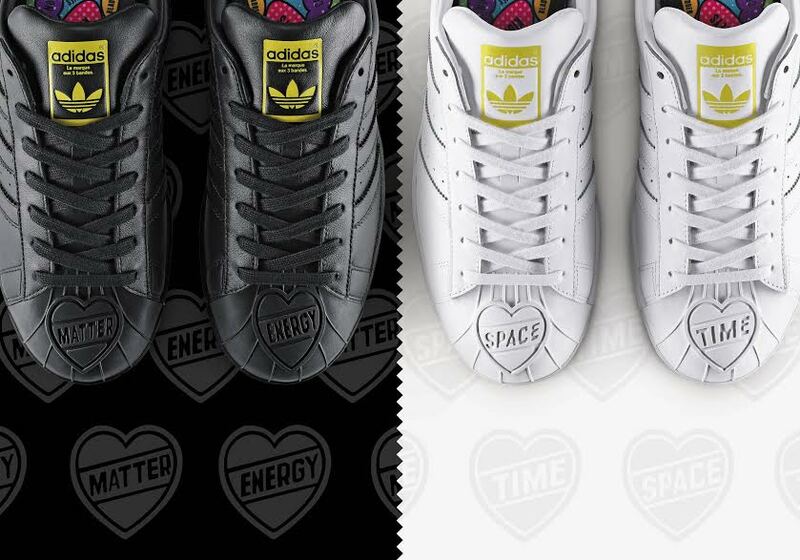 The series is then completed by two of Pharrell’s own personal designs, which speak of his interest in the concept of relativity. 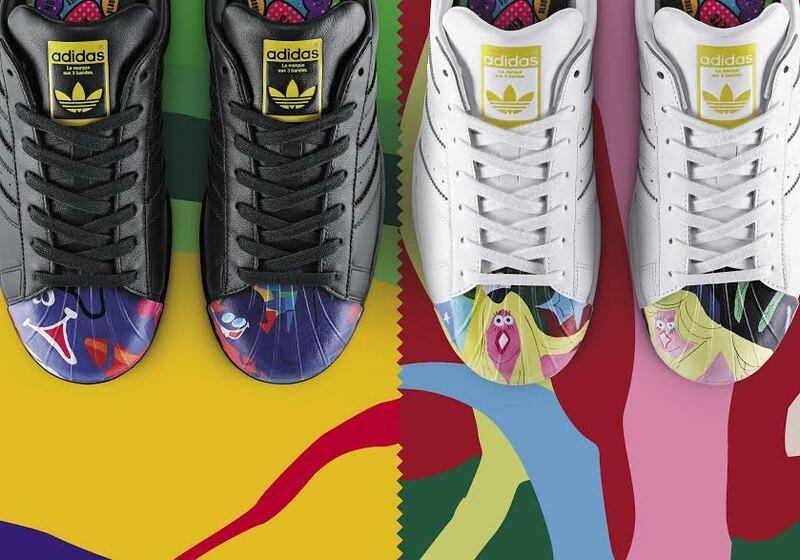 From a shoe that spans art and culture to a platform for expression itself, the Supershell Sculpted Collection brings the Superstar to its ultimate artistic mode. With designs offered in monochrome black and white colourways, the collection is also completely interchangeable, presenting countless opportunities to mix and match individual shoes to create the perfect personal expression. 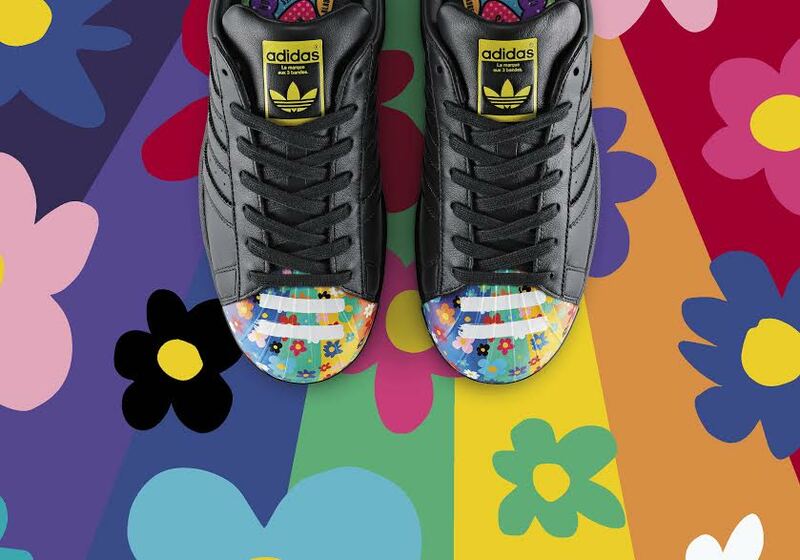 The Adidas Supershell collection drops globally on August 7. Artwork Collection will be around Php4,995 and Php5,495 for Sculpted Collection. Do not forget us to tag with your OOTD's with the hashtag (#superstar). Visit www.adidas.com.ph for more info.